Hazel is software genius. It’s one of those tools that looks so simple to start with, but after a while, you realise just how powerful and flexible it could be. In short, it’s an automation assistant. It watches folders – you tell it which ones – and performs actions based on what it finds. The actions, and the criteria that set them off, are entirely under your control, using a set of Rules similar to the ones you might have used in Apple’s own Mail application. Start with something simple in Hazel: tell it to watch the Downloads folder. When you download an MP3 music file from anywhere on the web, Hazel can move it to the Automatically Add To iTunes folder (you knew about that, right?) so that next time you open iTunes, it gets imported. It can also look out for PDFs, and move them to the right place in your Documents folder. After the simple stuff, you could move on to something more complex. Tell Hazel to look out for files with a particular color label, then run scripts that do things with them. 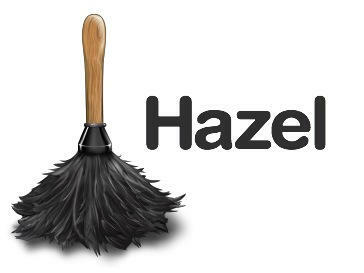 Hazel can clear out old, unused files for you. It can make backups of essential files. It can watch your Dropbox for things you might add there while mobile, and act on them. In short, Hazel is an invaluable little helper. Give it some rules to follow and it will quietly get on with the job in the background, freeing up more of your time for actual work. Well worth the $20 asking price.